Signup now and follow along! Join the exclusive list and follow along with us as we share a behind the scenes look at what a full Japanese trip experience can include. Travel to Japan the way you always dreamed. We provide trip consultation, custom itineraries, and completely guided trips through Japan. Have the experience of a lifetime! As someone who loves good food, it is somewhat anxiety producing to walk around Tokyo because there's just no end to the culinary delights, and there's not enough room in my stomach to sample everything. Every hole-in-the-wall Izakaya, every carefully designed cafe, every mom and pop ramen shop beckons me in for a taste. Tokyo is widely known as the best food city in the world - the abundance of high quality, beautifully crafted food is overwhelming - and it’s not just the traditional Japanese food that’s top notch. During my time staying at Nui: Hostel & Bar Lounge, I liked to wander the narrow streets leading from my hostel. One morning as I walked, enjoying the way Tokyo feels as it just begins to stir, McLean OLD Burger Stand came into view. It wasn't open yet, but I was intrigued by the beautifully designed space, and the craft beer, burgers, and coffee offerings. Compared to the craft beer scene in America and of course Europe, Japan is just a baby, so finding a menu with a good selection of craft beers is still somewhat rare. Knowing I wanted to revisit McLean before my flight later in the afternoon I strolled over to the Sumida River to catch the views and continue exploring this Asakusa neighborhood. Side note, if you walk from McLean about 150 meters, there's a great view of the Asahi Flame - affectionately referred to as the Golden Turd, just across the river. You'll see what I mean. I made my way back to McLean at exactly 11:30 as they opened for lunch. 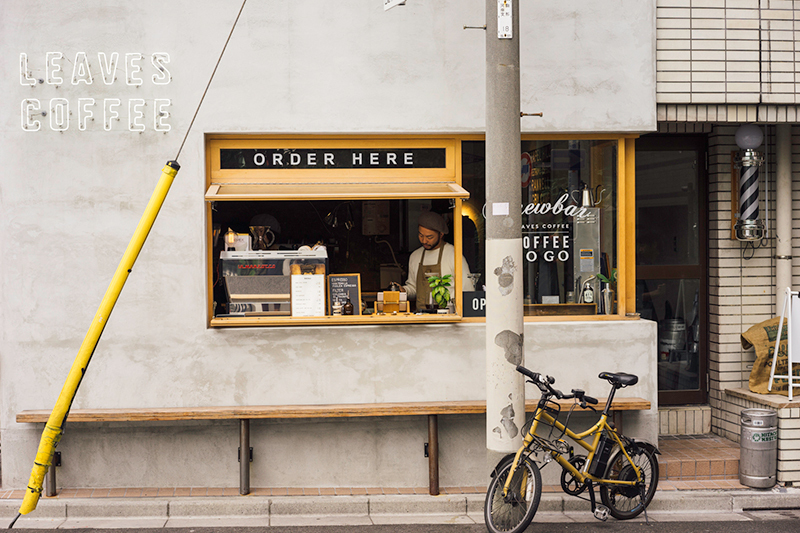 Their coffee window opens earlier, serving espresso and pour-overs from small batch roasters. 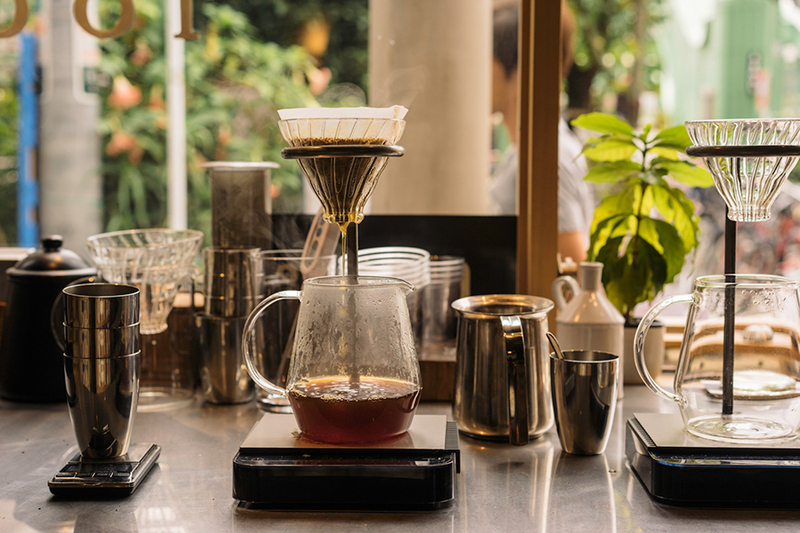 The coffee is carefully measured and brewed, and stands head and shoulders over most of the coffee you'll find around Japan. 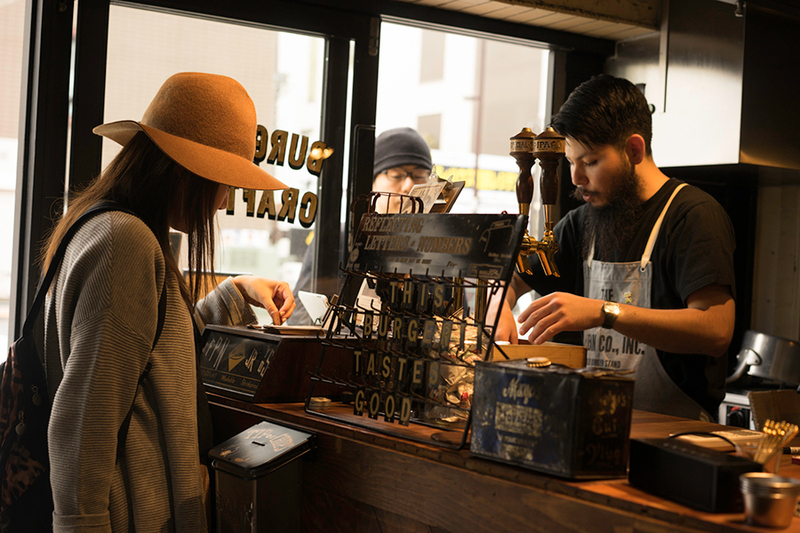 Coffee in Japan is either really good, or hardly resembles coffee at all. There's not much of an in-between. So if you're in the Asakusa area and you need a cup of coffee to take with you as you explore Sensoji Temple, McLean is your spot. The owner, Yasuo Ishii, was suave and friendly - expertly making coffee and chatting with customers lining up outside. I entered the restaurant and ordered just inside the door. 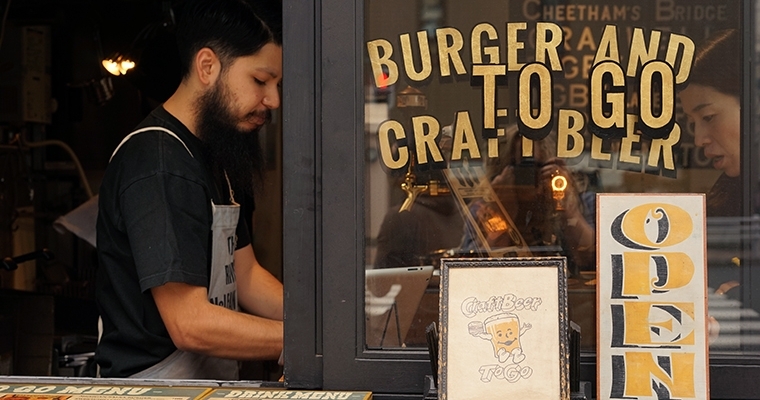 The hamburger menu is impressive, making it difficult to decide what to get. I went with the regular hamburger, which, along with the rest of the entrees, is served with french fries. McLean has a daily special burger, along with a monthly special. Last month they were featuring a miso eggplant burger, and when I make it back (and I will be back) I'm definitely ordering the tempura burger. See what I mean about too many things to eat, and too little time? Along with my burger I ordered the Old Rasputin Imperial Stout from North Coast Brewing because I'm a sucker for a big beer, and the fall weather made it feel appropriate. After I placed my order I took a seat at the counter so I could look out the window, and watch the coffee being made. 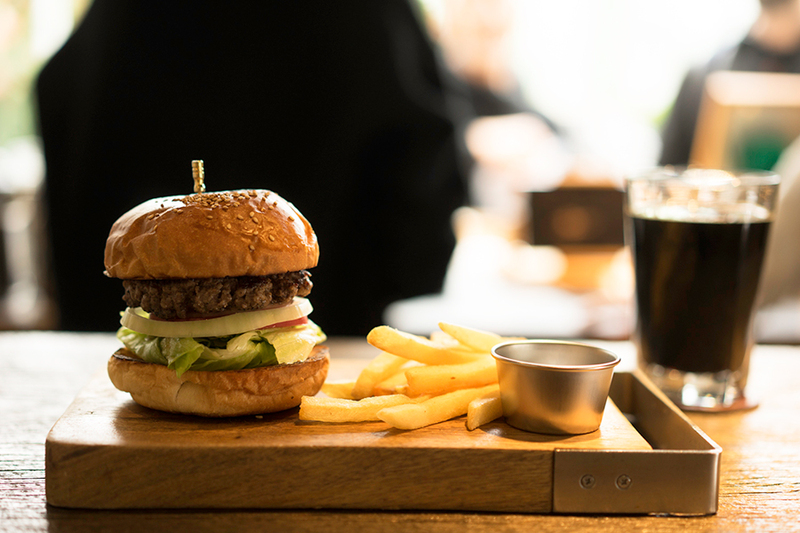 My burger and fries came out beautifully presented on a wooden board, along with a paper burger holder and wet wipes to keep the eating process tidy. Attention to detail like that is extremely satisfying. The burger was delicious and the french fries were perfectly done. 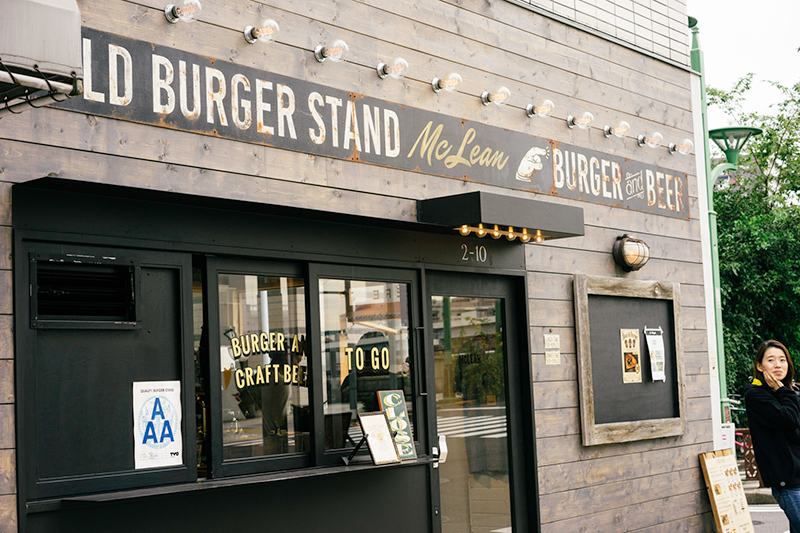 McLean OLD Burger Stand was a great American style burger experience infused with the quality and care that characterizes the Japanese culinary experience. We'll definitely be back, and you should go too! If you're in the neighborhood, the hostel mentioned above is also a great stop for a coffee, pastry, beer, or cocktail. Join the newsletter for travel info and stay updated on future Session Japan trips! Travel to Japan the way you always dreamed. Session Japan provides trip consultation, custom itineraries, and completely guided trips through Japan. We’re here to ensure you have the experience of a lifetime.